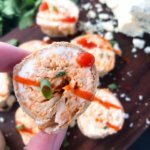 These Buffalo Chicken Pinwheel Roll Ups use the classic flavor of buffalo wings in a fun roll up. I love buffalo wing sauce, especially on game day during football season. But I am not a huge wing fan, so I like to get those flavors in different ways. 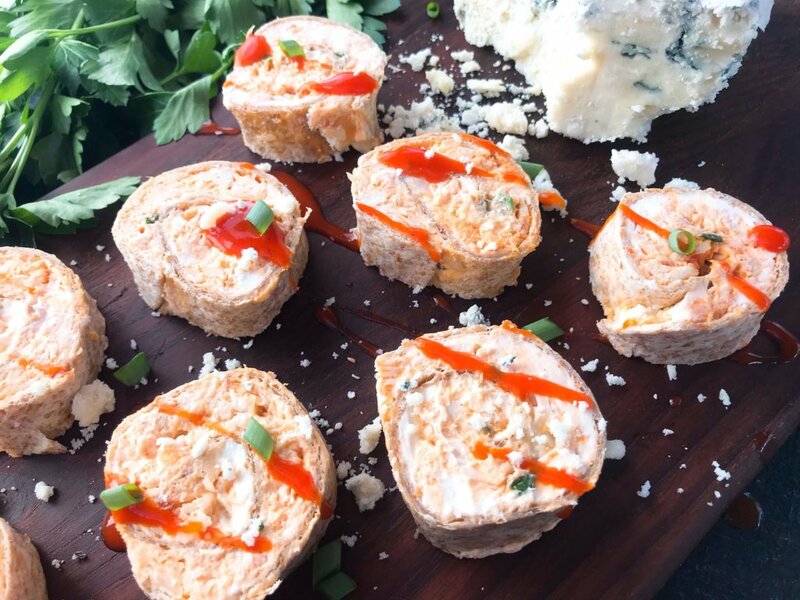 These Buffalo Chicken Pinwheel Roll Ups are a fast and simple tailgating appetizer to make. 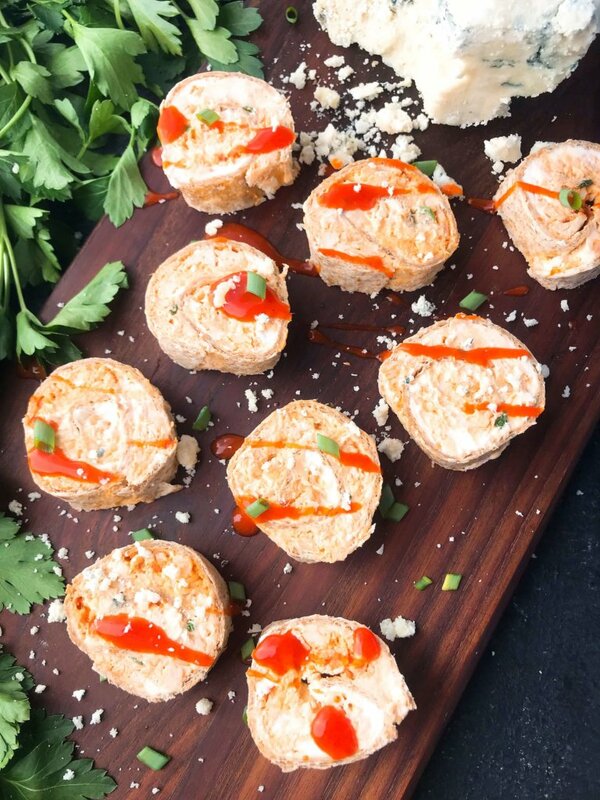 To make the Buffalo Chicken Pinwheel Roll Ups, mix some cooked and shredded chicken with the hot wing sauce. I LOVE sauce, but I can only tolerate heat to a medium level. The cream cheese and blue cheese help cut the spicy wing sauce, so adjust each flavor according to your taste. Mix up the cheese mixtures and layer it all on a tortilla. Roll it up, chill to set, and then cut and serve. So easy! 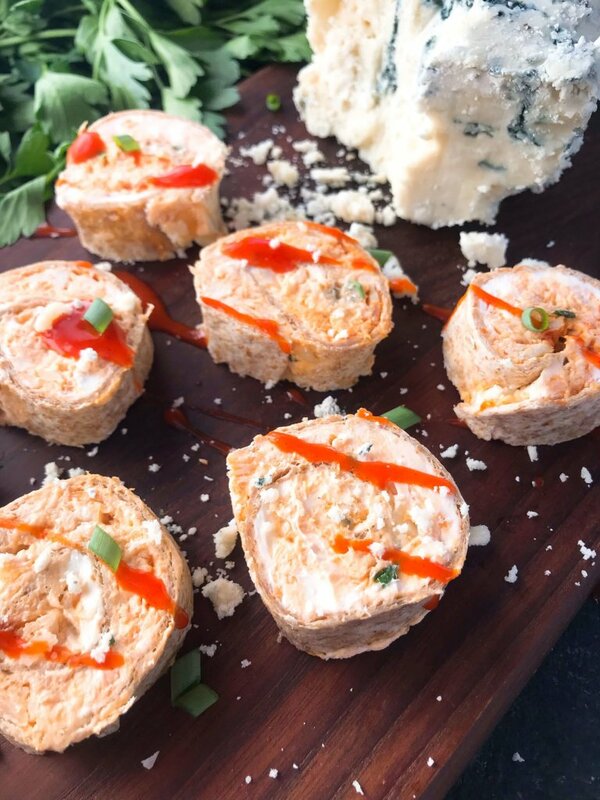 And you can make the Buffalo Chicken Pinwheel Roll Ups logs in advance, and then just slice and serve when you are ready. 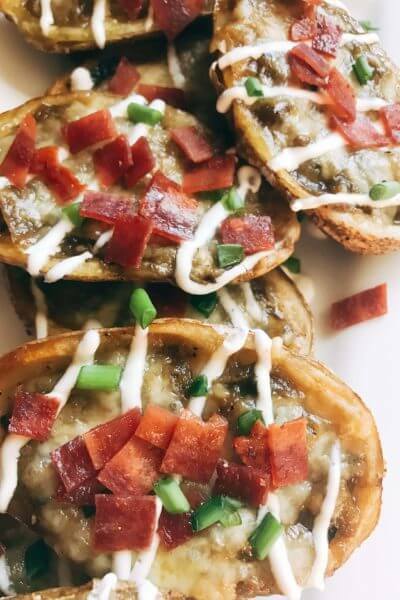 Find more of our buffalo wing inspired recipes here! (Both chicken and vegetarian). 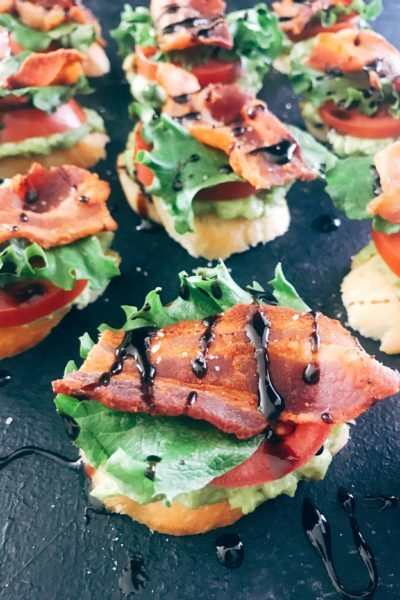 And find more pinwheel recipes here! 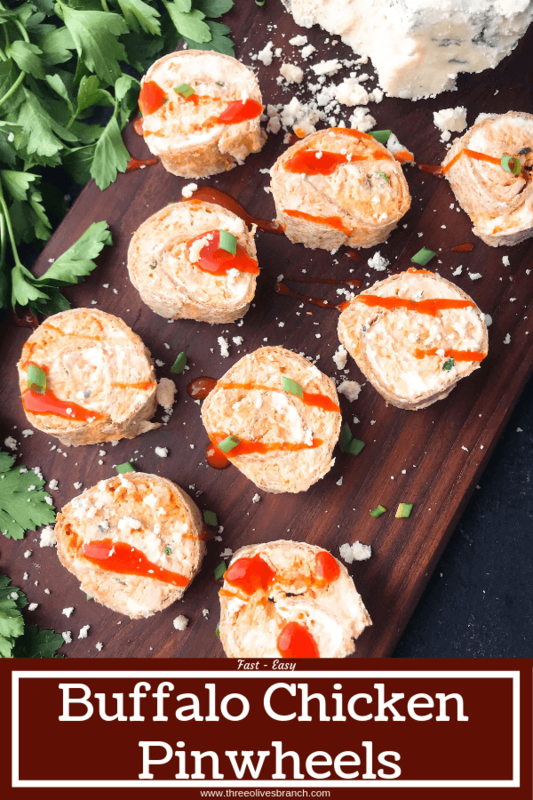 Classic buffalo wing flavors in a fast and easy pinwheel appetizer. 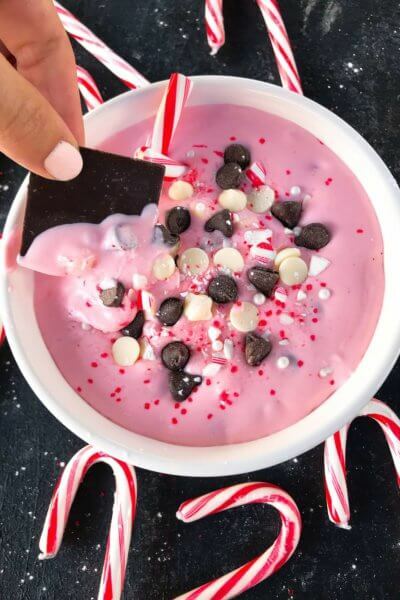 In a small bowl, mix the cream cheese, blue cheese, and garlic powder. In another small bowl, mix the chicken and hot wing sauce. 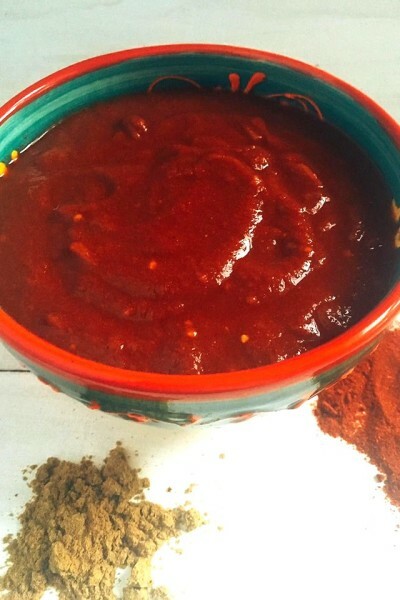 Add additional sauce if desired to your level of spiciness (keeping in mind the cheeses will help cut the heat). Spread the cream cheese in a thin layer across the entire tortilla. 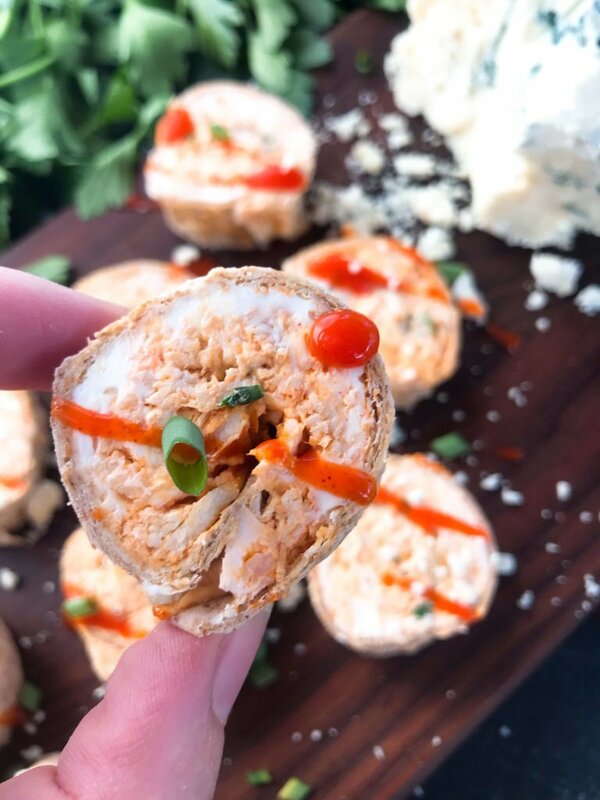 On top of the cream cheese, spread out the buffalo chicken. Sprinkle with green onions. You can omit the blue cheese or replace with mozzarella cheese if desired. For less filling to tortilla ratio, reduce the amount of cream cheese to 4 ounces and garlic powder to 1/4 teaspoon.